Healthy food in basket. 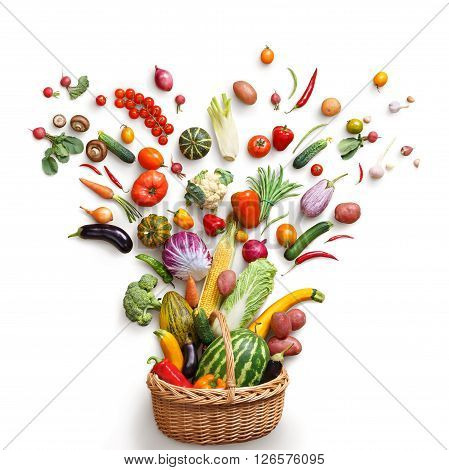 Studio photography of different fruits and vegetables isoleted on white backdrop top view. High resolution product.